Lots of Traffic, But No Sales? So you have finally launched your e-commerce store with WooCommerce, that’s great! Buuuut…. you have no sales, no reviews and are staring out your office window wondering “What next?”. What you need is a way to build customer trust in your store, beyond just offering great pricing, fast shipping and high quality product lifestyle shots. You need social proof. On average, 70% to 95% of shopping carts are abandoned before purchase. The main reasons for this are higher than expected shipping costs and lead times, and lack of trust in your store. You need to be able to convince buyers that your store is legitimate, has a loyal following of buyers and delivers high quality valuable products to its customers. You need social proof. Sure you can add some fake reviews reviews to your site with 4 and 5 star ratings… You can add long-winded fictional testimonials about the quality of your products and how fast the shipping was. But is that ethical, or even believable? You need REAL social proof. Did you know that Amazon has now surpassed Google for the most searches for online shopping? And that 55% of shoppers check Amazon first before buying products elsewhere? On Amazon, you really can’t get any sales traction until you have at least 3 reviews over 4 stars. Here’s a shot of a new product I launched on Amazon.ca in a very crowded dry bag niche. Notice how I added value by bundling the 2 dry bags with 2 phone cases and a pouch? Clever eh? Well, still not clever enough without some reviews. Luckily, once I was able to get them, I saw a few sales a day. How Can Social Proof Help? 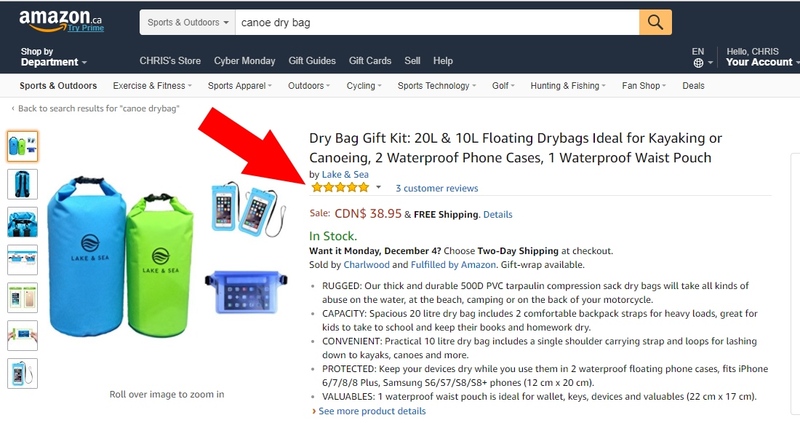 Well then, what is “social proof” exactly and how does it help you make more e-commerce sales? Well, social proof is really just a demonstration that other people have made a choice to buy a product or service. Social proofs make online customers feel more comfortable purchasing from an e-commerce store. Online shoppers feel much more comfortable buying from a store if they know others have done it — and had pleasant experiences. Social proofs for an online business include its social media followers, product reviews, and blog posts or news articles that mention the company. These are all forms of validation that legitimize a business in the eyes of consumers. Any Amazon seller knows that you really don’t start to get any sales velocity until you have at least 3 to 5 reviews of 4 or 5 stars. It just makes sense. Letting your clients know that your online store is busy is key. Using a WordPress plugin like Live Social Proof is a great way to show real customers buying behaviour. You can also display products that you want to push to encourage behaviour! 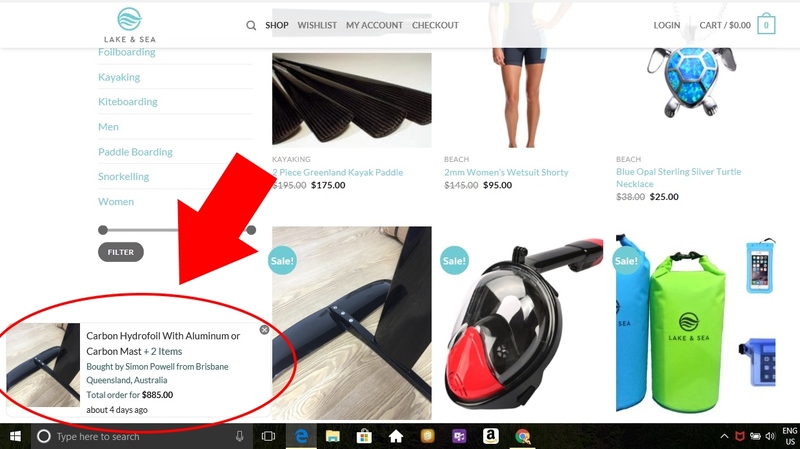 Using live sales notifications using the Social Proof WordPress plugin on our e-commerce store significantly. It not only increased our sales conversions, but also help to reduce our cart abandonment rate by over 30%.